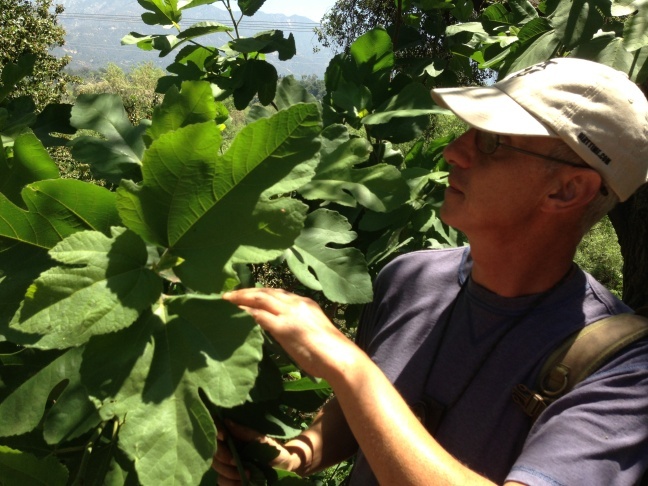 Pascal Baudard inspects a wild fig tree. Even when not bearing ripe figs, you can use the fig leaves to wrap food and cook it. Mia Wasilevich prepared a nectarine cooked in wild fig leaves. 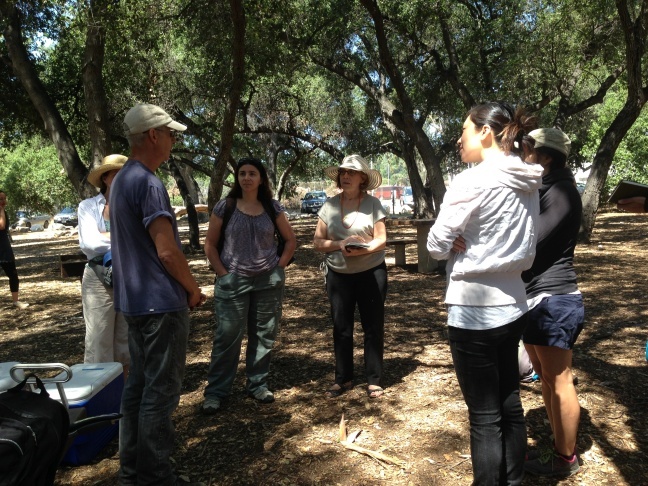 Professional forager Pascal Baudard gathers with a class at the Hahamonga Watershed Park in La Cañada. 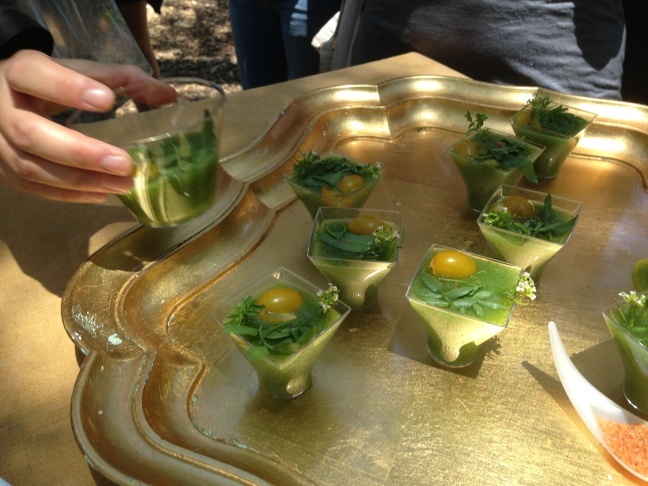 Chef Mia Wasilevich prepared a watercress gazpacho using wild foraged ingredients highlighted in Pascal Baudard's class. 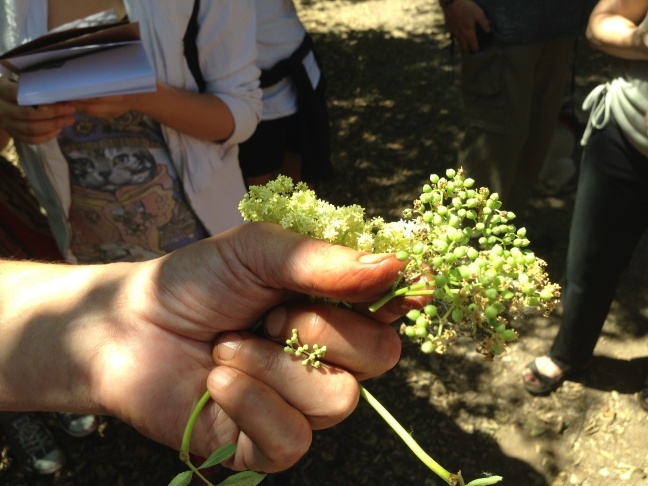 Elder flowers like these can be used to flavor a cordial simple syrup which can be used in ice creams and other desserts. The rest of the plant, however, is poisonous. 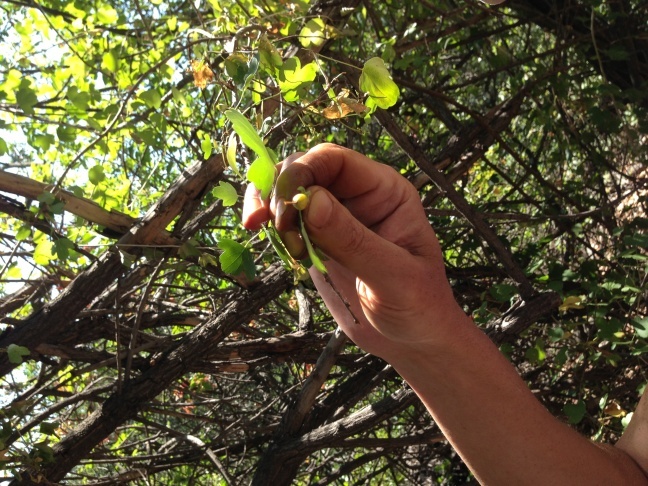 Pascal Baudard shows off a wild currant. These ones are not yet ripe because they are in the shade. 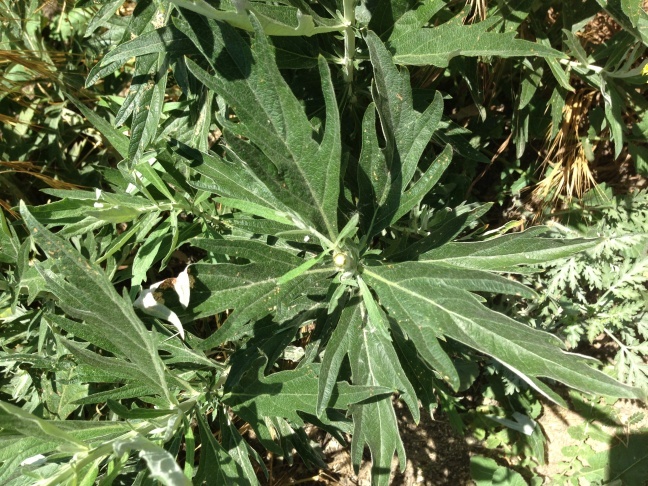 Mugwort is related to wormwood, which is used to make Absinthe. Pascal Baudard likes to make a fermented beer with it. 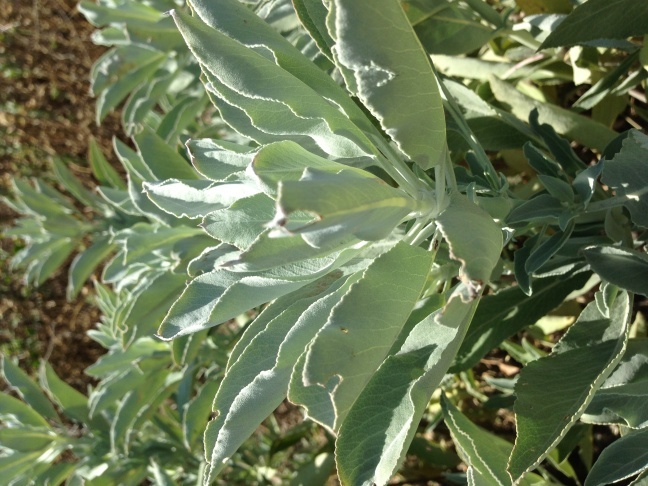 The aromatic white sage is plentiful in Southern California. Pascal Baudard says to dehydrate it and use sparingly because it is much more potent than store-bought sage. Instead of rushing off to the market, have you ever thought about the food growing all around you? Producer Meghan McCarty set out on a foraging expedition to find out which edible plants (and creatures) may be found right in our backyards. Mugwort, hemlock and deadly nightshade sound like the ingredients for one of Harry Potter’s spells, but they’re actually all plants that grow wild right here in Southern California. 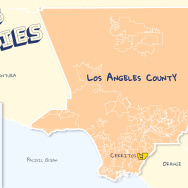 “Southern California is loaded with edible plants at every time of the year. So it’s like a real playground for flavors,” said Pascal Baudard, an expert at seeking out those flavors. He’s a professional forager — he actually makes a living at it — collecting wild ingredients for L.A. chefs like Ludo Lefebvre and Michael Voltaggio. He also guides occasional classes on foraging in the L.A. area. Baudard is no survivalist chomping on dried out twigs and berries. He’s actually quite the gourmet. He‘s teamed up with his partner, chef Mia Wasilevich, to put together a sophisticated menu of dishes to showcase the edibles we find while out collecting. But before we eat, we’ve got to work up an appetite. So we head down the trail to look for food. We barely travel 100 feet before Baudard is off in the bushes, plucking off leaves and bending the boughs of trees to inspect their bounty. It’s not just plants you can forage a meal from. Baudard clues us in on a special ingredient that is usually unwelcome at the dinner table: Ants. 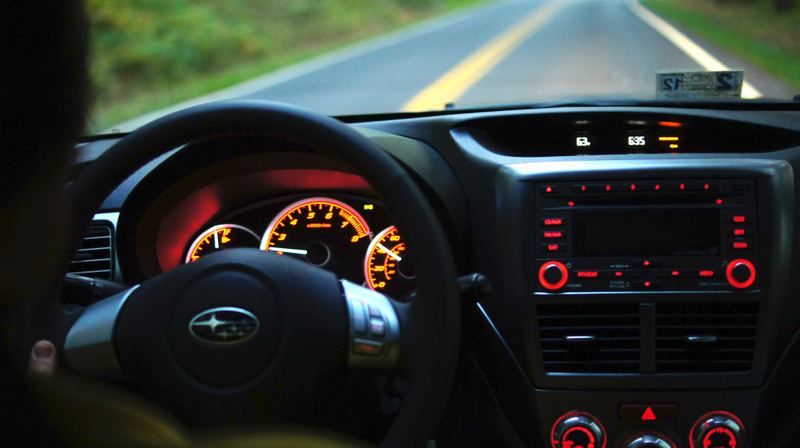 “Did you know that we have 240 different species of ants? 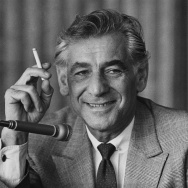 Some of them have floral quality to them some of them taste like lemon,” said Baudard. But before you head for the hills and start stuffing your face with every insect and shrub you see, you should beware that nature can also be cruel. After that sobering lesson it’s time to wind our way back to the picnic table for lunch, where Wasilevich has prepared quite a spread.